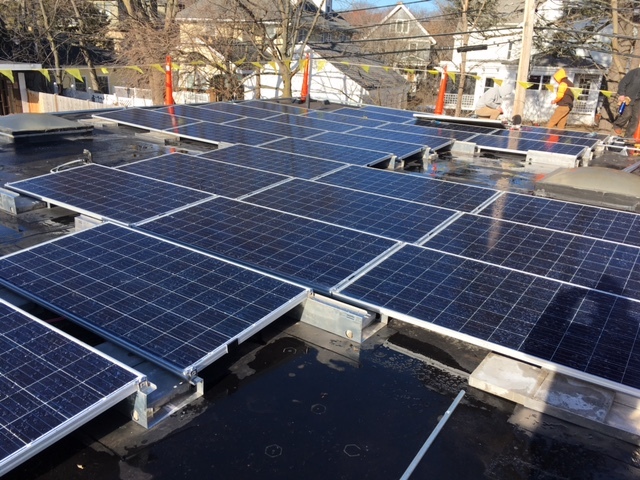 Sunshine Academy in Washington Square has installed a massive solar array of 110 photovoltaic panels on our flat roof for an estimated electrical generation capacity of 35.2 kilowatts of green energy. 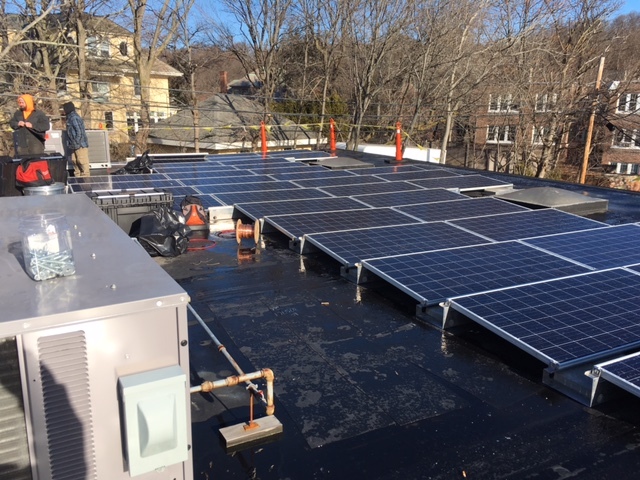 This solar array is unique in that the system is 100% ballasted (or weighted) on the roof so that no penetrations of the rooftop were made. This was done so that the array can be easily removed and replaced for roof repairs or replacement. We estimate that this array will produce between 95 and 105% of our electricity needs. All excess energy produced will be fed into the regional electrical grid. This system will go online in Q1 2017.